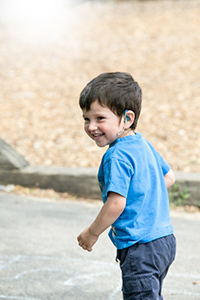 As America’s largest nonprofit health care organization, Easterseals is committed to the comprehensive health and wellness of the more than 1.4 million people it serves each year and is prepared to respond to the needs of the one in four Americans living with disability today with outcomes-based services for all disabilities throughout the lifespan. Additionally, we’ve served transitioning military, veterans and their families and caregivers since WWII and continue to be the “go to” resource for them to help ensure their successful transition to civilian life. In 1907, Ohio-businessman Edgar Allen lost his son in a streetcar accident. The lack of adequate medical services available to save his son prompted Allen to sell his business and begin a fund-raising campaign to build a hospital in his hometown of Elyria, Ohio. Through this new hospital, Allen was surprised to learn that children with disabilities were often hidden from public view. 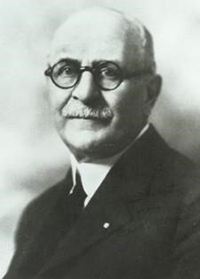 Inspired to make a difference, in 1919 Allen founded the National Society for Crippled Children, the first organization of its kind. In the spring of 1934, the organization launched its first Easter "seals" campaign to raise money for its services. To show their support, donors placed the seals on envelopes and letters. Cleveland Plain Dealer cartoonist J.H. Donahey designed the first seal. Donahey based the design on a concept of simplicity because those served by the charity asked "simply for the right to live a normal life." The lily - a symbol of spring - was officially incorporated as the National Society for Crippled Children’s logo in 1952 for its association with new life and new beginnings. In 1945, we expanded our vision across the country and in communities nationwide when we opened our services to adults and returning WWII veterans. The overwhelming public support for the Easter "seals" campaign triggered a nationwide expansion of the organization and a swell of grassroots efforts on behalf of people with disabilities. 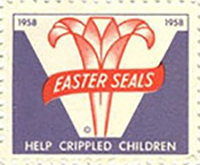 By 1967, the Easter "seal" was so well recognized, the organization formally adopted the name "Easter Seals." Prior to the passing of the ADA on July 26, 1990, Easterseals was a leading advocate for the American Disabilities Act (ADA) and actively lobbied in Washington and across the country for its adoption. Easterseals also created some of the most powerful advocacy pro-ADA public service campaign with messages to support the law and its implementation. After the passing of the ADA, Easterseals worked tirelessly to ensure that all people are empowered to access their rights under the ADA. 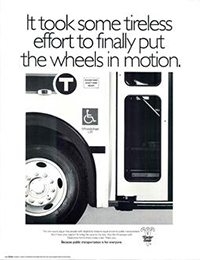 Read more about Easterseals history with the Americans with Disabilities Act. Today and every day, Easterseals offers indispensable resources to more than a million people and families living with a disability annually. Our best in class, inclusive services are provided through a network of 73 local Easterseals in communities nationwide, along with four international partners in Australia, Mexico, Puerto Rico and Canada. Easterseals offers hundreds of home and community based services and supports—categorized into five distinct support areas: Live, Learn, Work, Play and Act. LEARN: Programs designed to help children and adults learn—and often relearn—basic functions, master skills need to develop and thrive, and be sharp and active across the lifespan. WORK: A range of training, placement and related services helping people prepare for the workforce. PLAY: Fun, healthy programs for children, adults and caregivers to relax, connect with friends and engage in constructive activities. ACT: Involvement opportunities for our vibrant community of friends and supporters. In 2019, Easterseals celebrates 100 years of impact in the lives of individuals with disabilities or other special needs, their families and communities throughout America as a powerful advocate and leading provider of innovative services. In marking this milestone, Easterseals reflects on its legacy of delivering equality, dignity and independence to people with disabilities while embracing a future where every one of us is 100% included and 100% empowered. Since its founding in 1919, Easterseals has remained committed to ensuring that the needs of children and adults with disabilities, veterans and older adults are met with services and supports to help them live, learn, work and play in their communities. 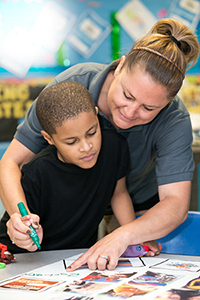 By combining on-the-ground presence, deep expertise and diverse programs, 71 Easterseals affiliates nationwide are advancing change to assure that people with disabilities and other special needs can thrive in their communities.